Something about the crisp, autumn air makes us want to grab a cold beer and cheers to the change of season. These independent hotels know exactly what we’re talking about and have saved a special place in their hearts (and properties) for beer. Beer is the name of the game at this historic hotel. 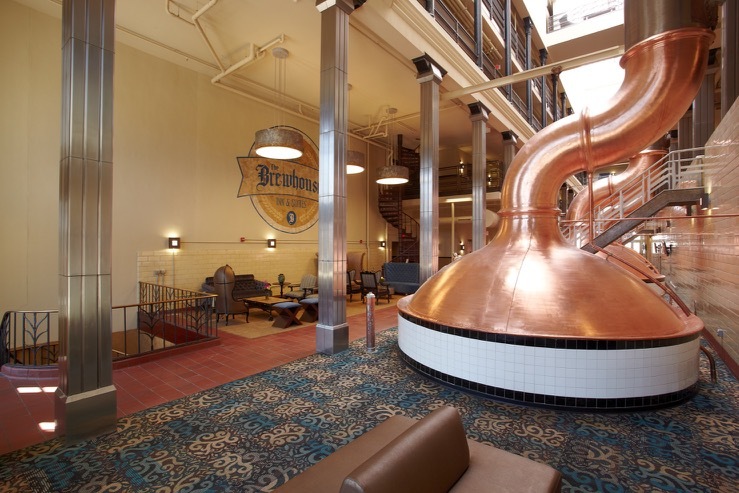 The property was formerly the iconic Pabst Blue Ribbon brewery, built in 1882. You’ll can’t miss remnants of the past — especially the six massive copper brew kettles in the mezzanine that are under the watchful (stained-glass) eye of King Gambrinus, the “patron saint” of beer. The Norwich Inn’s history with brewing beer dates back as far as the early 1800s. (Did President Monroe have a pint during his 1817 stay? Nobody knows, but if he did, it was brewed at the Inn!) Today, The Pub at The Norwich Inn is a friendly place for where locals and guests rendezvous for a hearty meal and a beer. 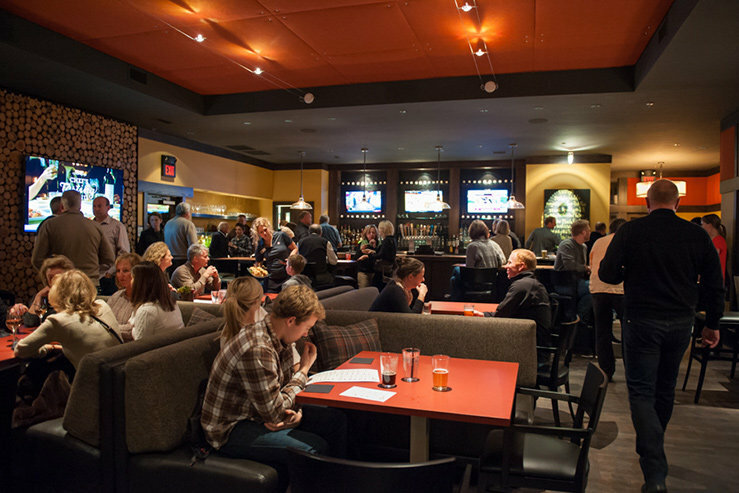 Try something new at each visit –the Pub’s tap-list rotates through 50 of the brewery’s craft beers. 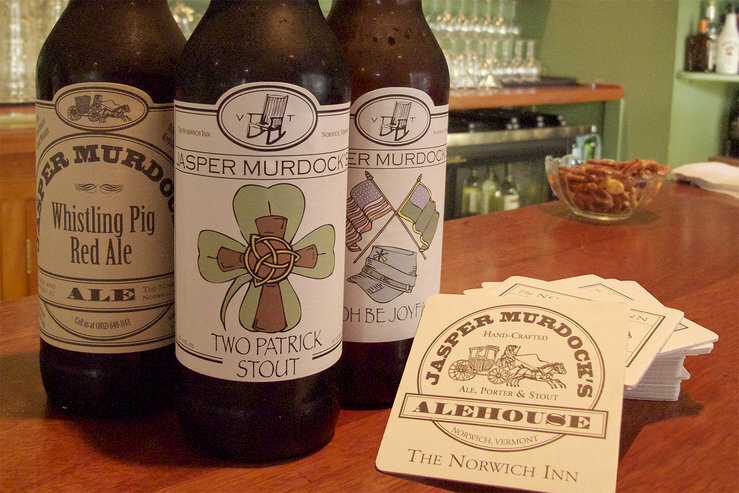 Specifically we recommend trying the famed Jasper Murdock Ales. 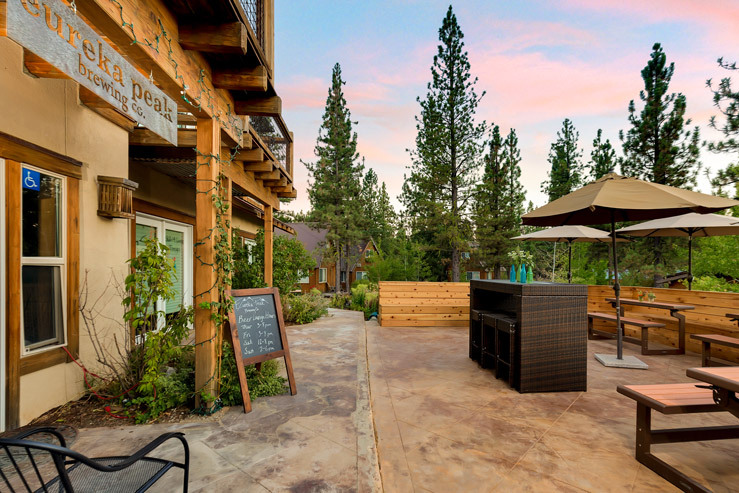 It doesn’t get more local than Eureka Peak Brewing Company at Chalet View Lodge. The on-site tap room offers a variety of classic craft ales and specialty Belgian sours. Whether you like your brews hoppy, dark, or fruity—or just something that tastes good with bratwurst— you’re sure to find a new favorite brew! Oregon is known for loving beer and Tetherow Lodges is no exception. Visit their pub, The Row, which features a different local brewery every month. Keep an eye out for special events, like the annual Brewery Smackdown. You can be the judge as breweries compete for your taste buds. These sister properties are smack dab in the center of the French Quarter. During Mardi Gras, their location alone qualifies them as a beer-loving hotel. But it’s their history that earns them a spot on the list. These buildings were once facilities for the American Brewing Company, brewers of Regal Beer “the Prince of Golden Beers”. Today, you can enjoy a beer at the hotel bar, or grab a “go-cup” and take your suds with you as you explore the historic streets of New Orleans.